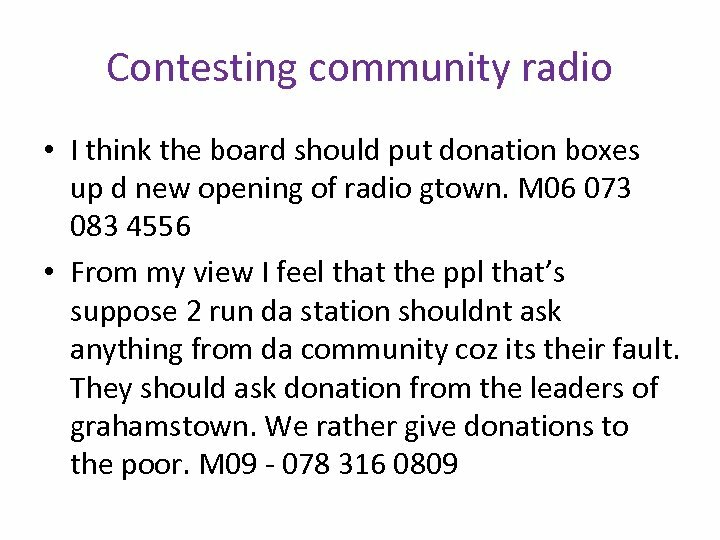 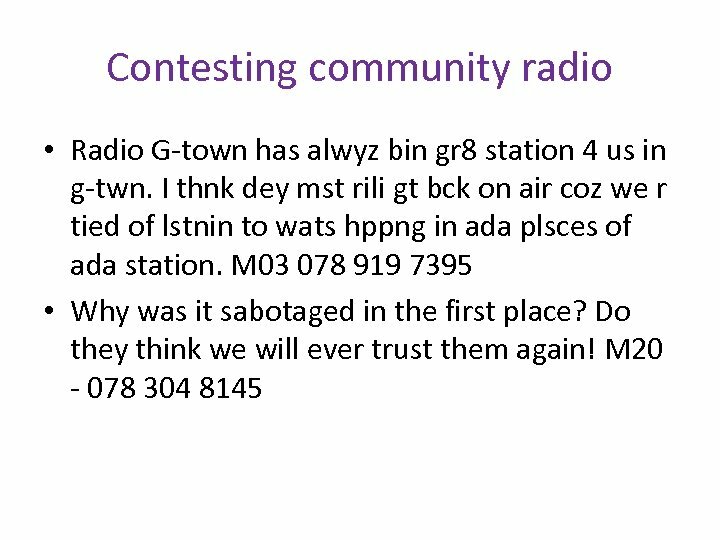 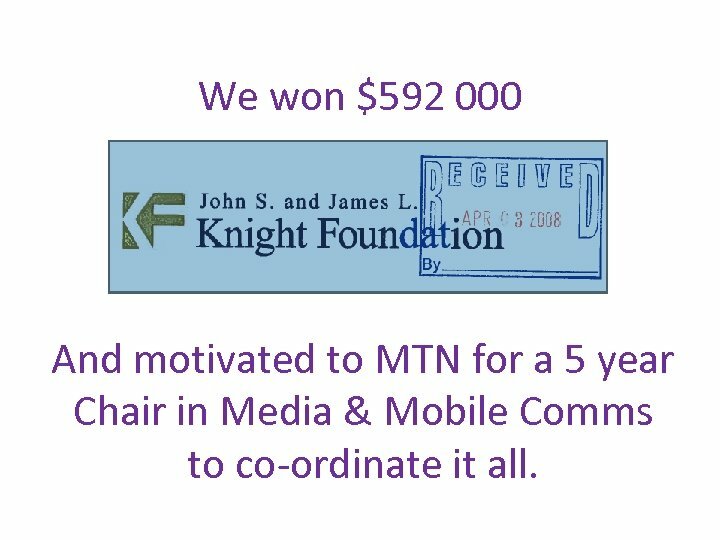 We won $592 000 And motivated to MTN for a 5 year Chair in Media & Mobile Comms to co-ordinate it all. 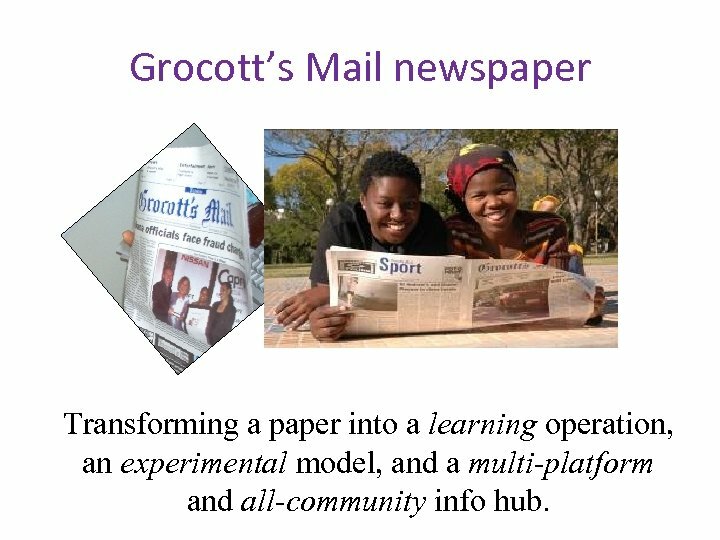 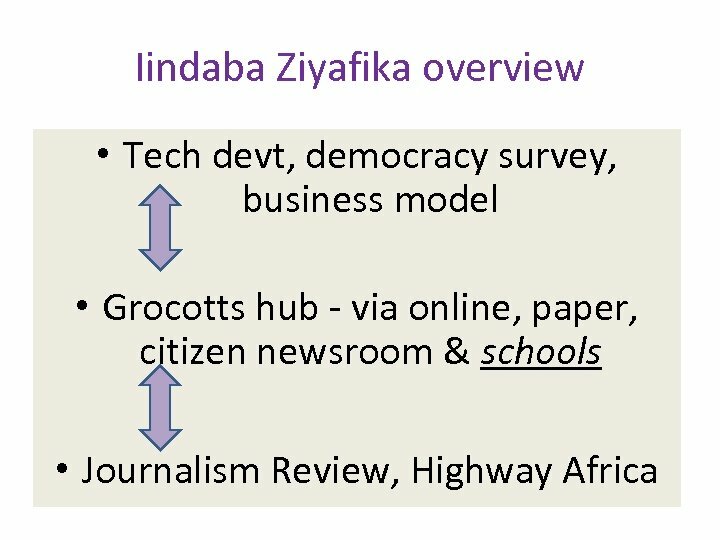 Grocott’s Mail newspaper Transforming a paper into a learning operation, an experimental model, and a multi-platform and all-community info hub. 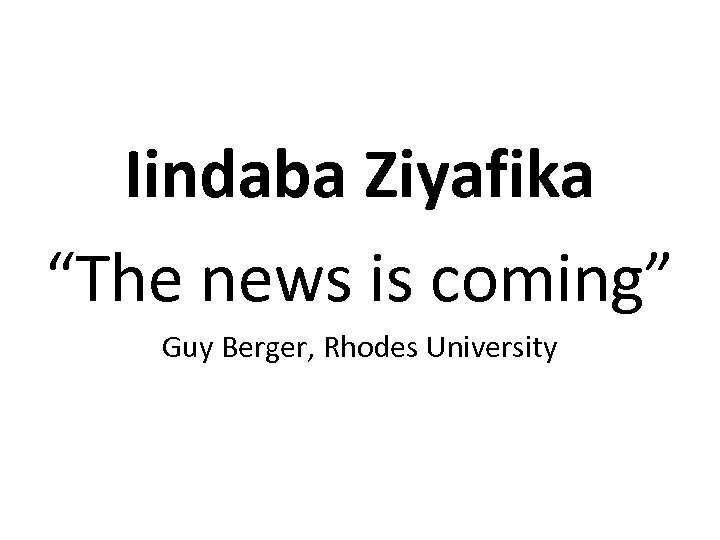 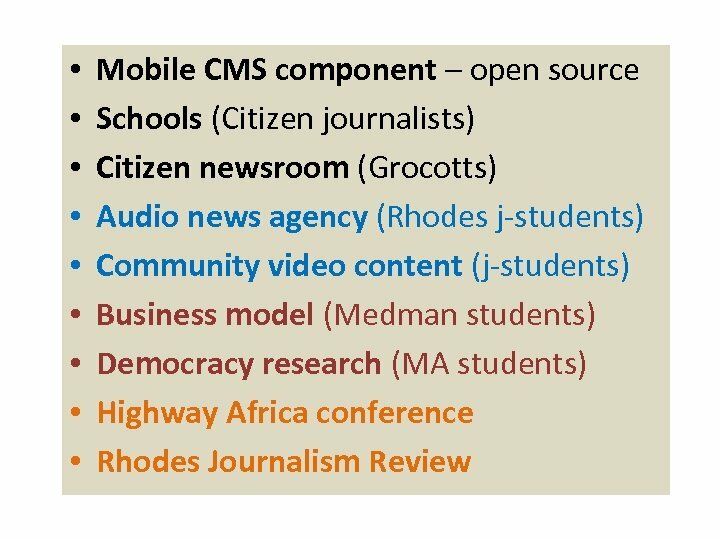 Cellphones: from 1: 1, to 1: many Editor, students, lecturers and learners. 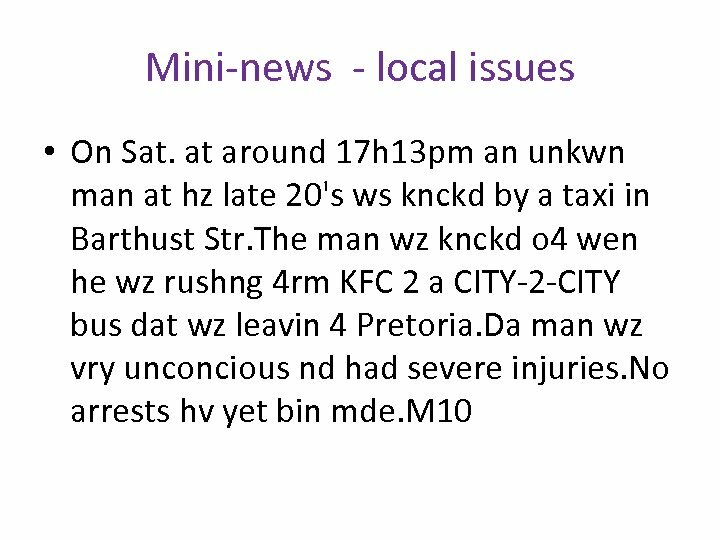 - Learners sending 160 characters long smses for possible publication in Grocott’s Mail. 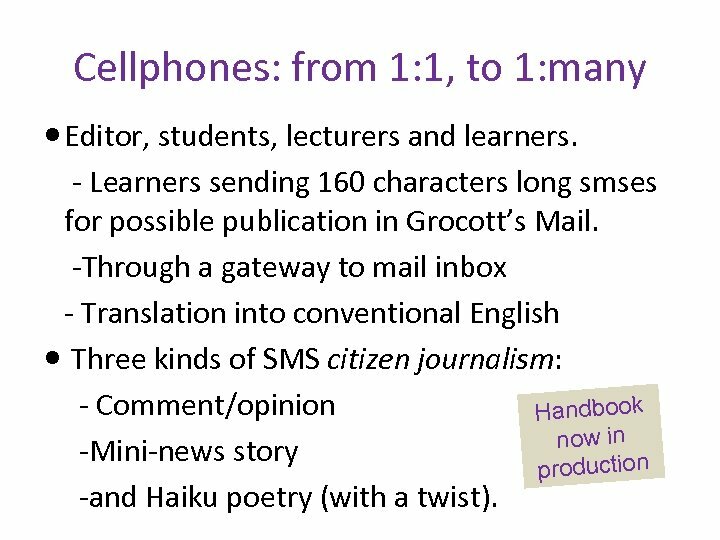 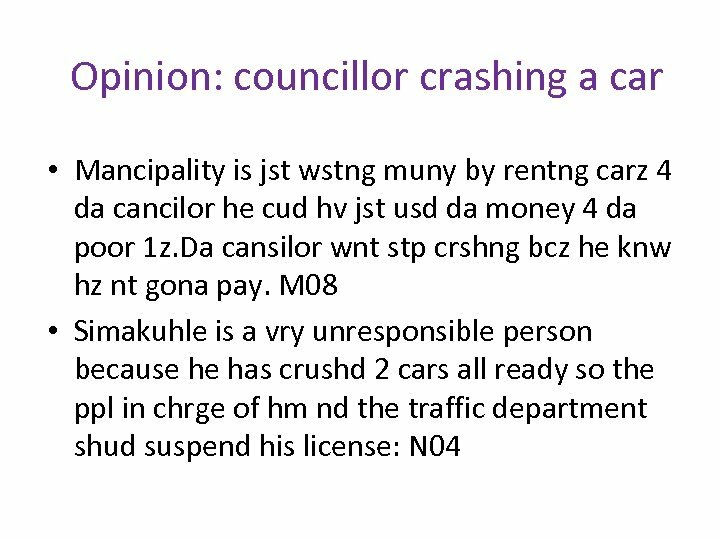 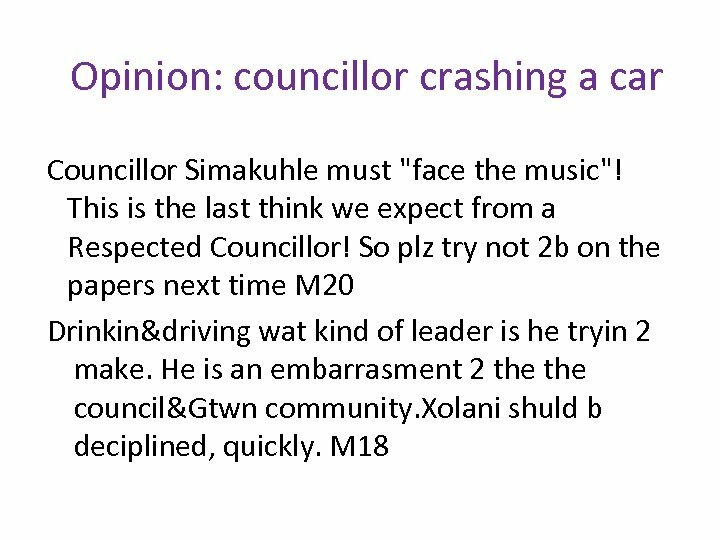 -Through a gateway to mail inbox - Translation into conventional English Three kinds of SMS citizen journalism: - Comment/opinion Handbook now in -Mini-news story production -and Haiku poetry (with a twist). 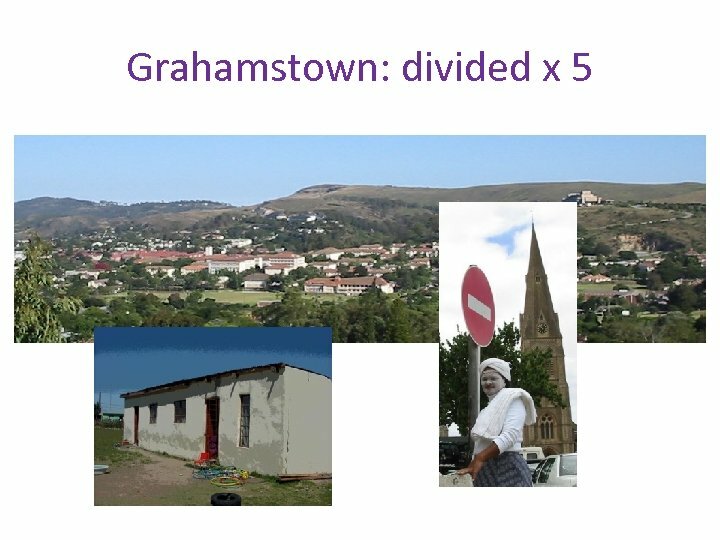 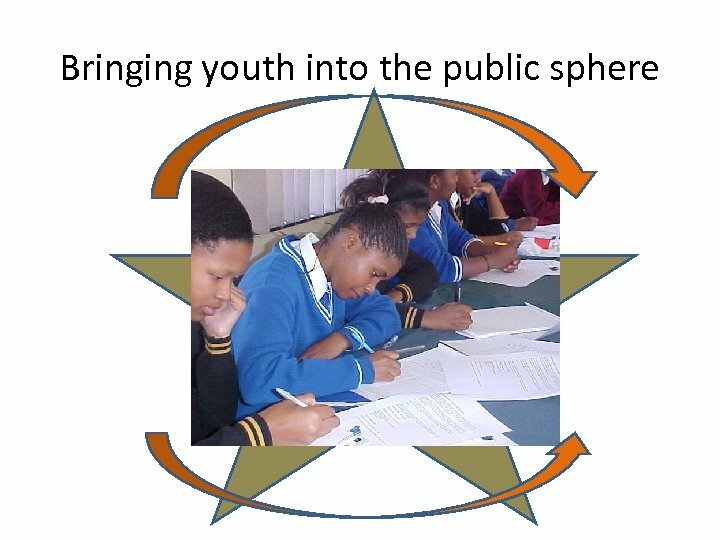 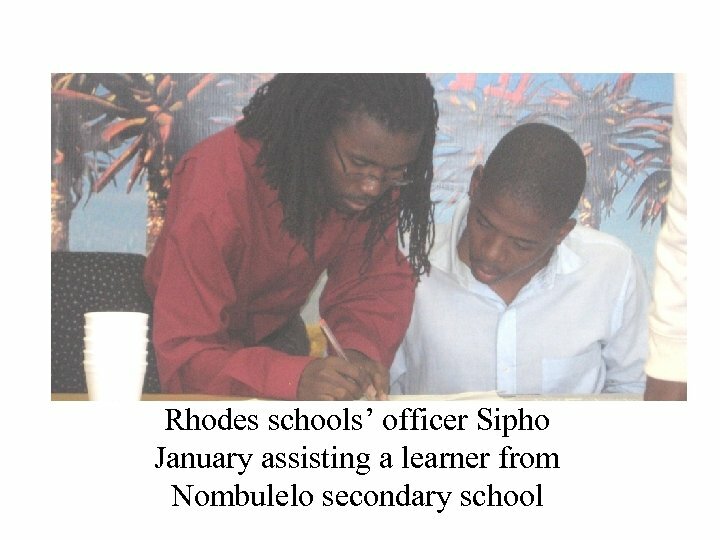 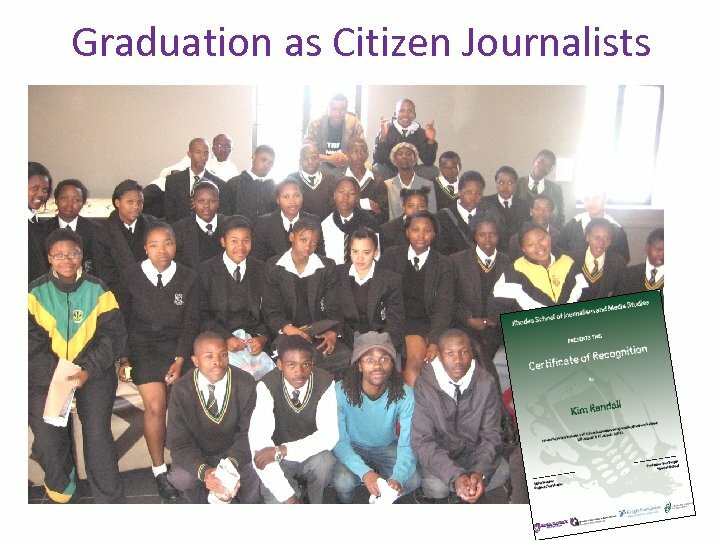 3 schools, 45 CJs • Learners invited to two x 1 day workshops. 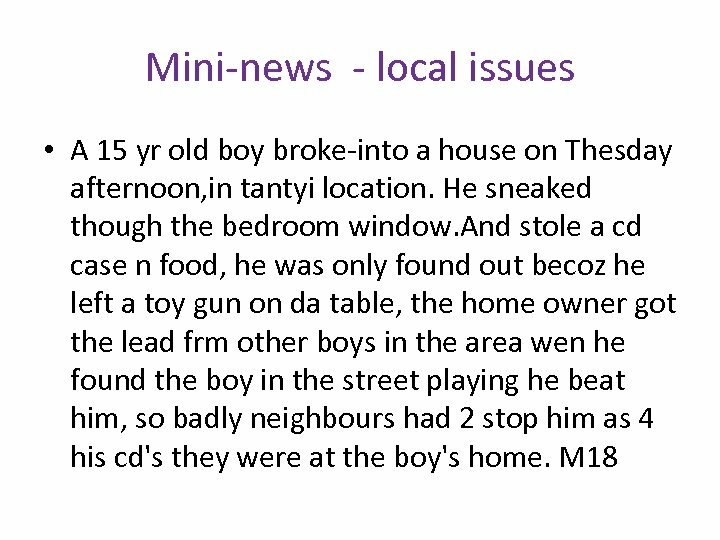 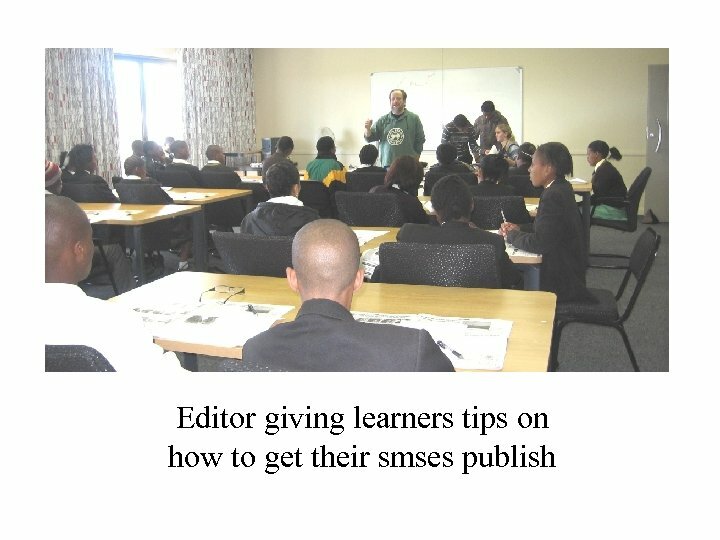 • Basic skills in writing Mini-news stories, Opinions and Haiku poetry. 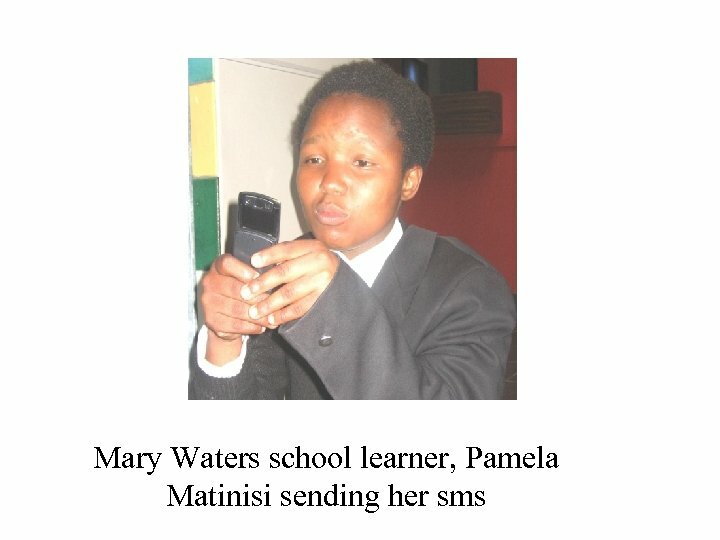 • Supplied with airtime. 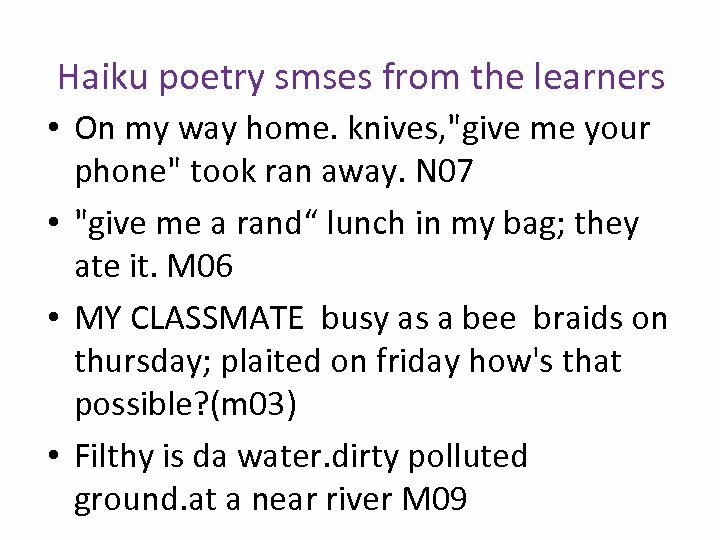 • Send one sms at workshop; the rest later. 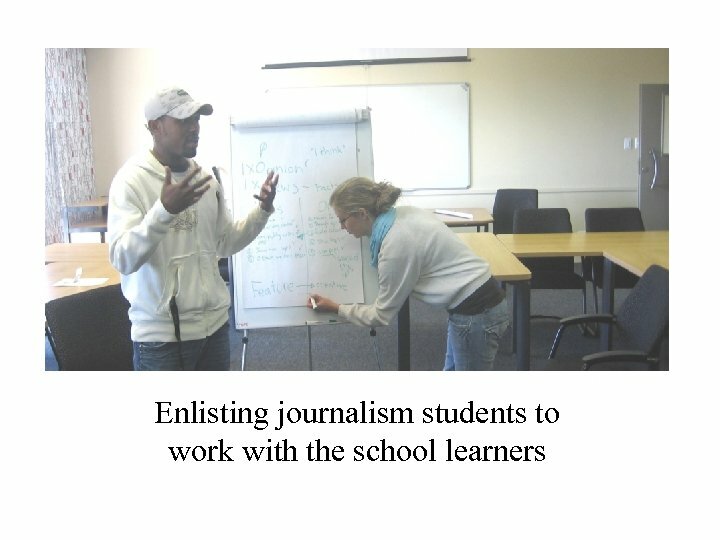 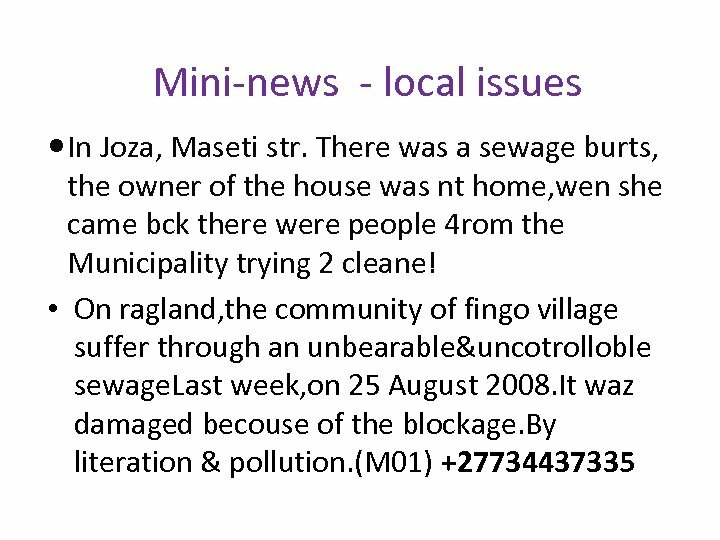 • Commitment was volunteered to continue sending, and sharing cellphone access. 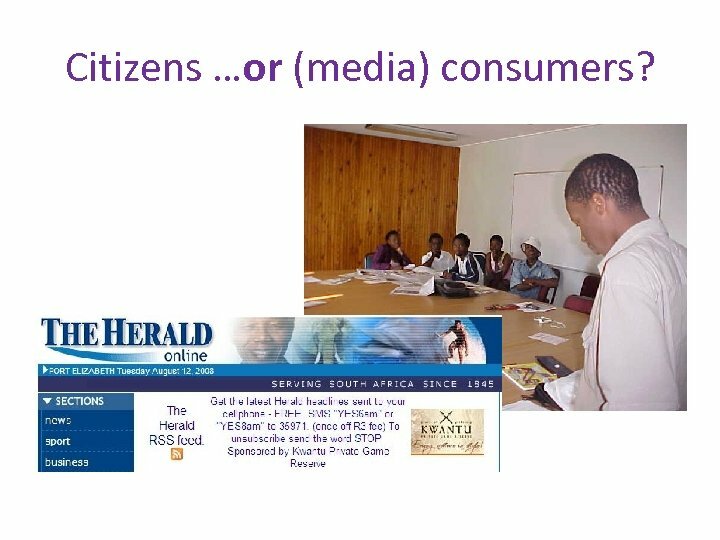 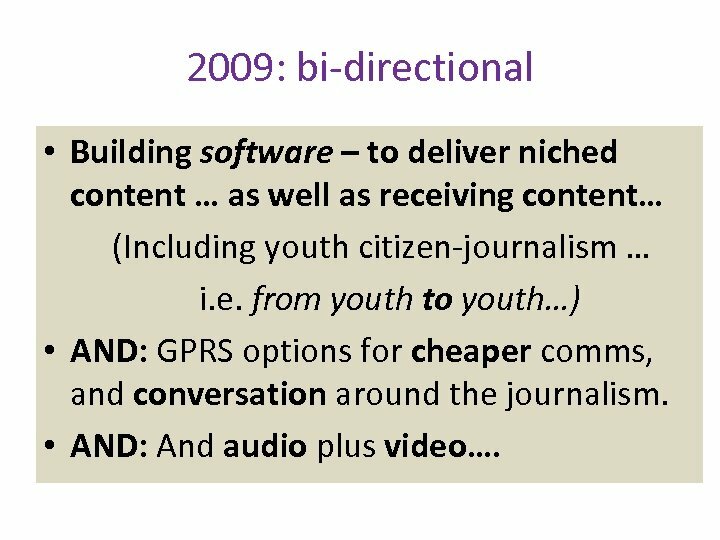 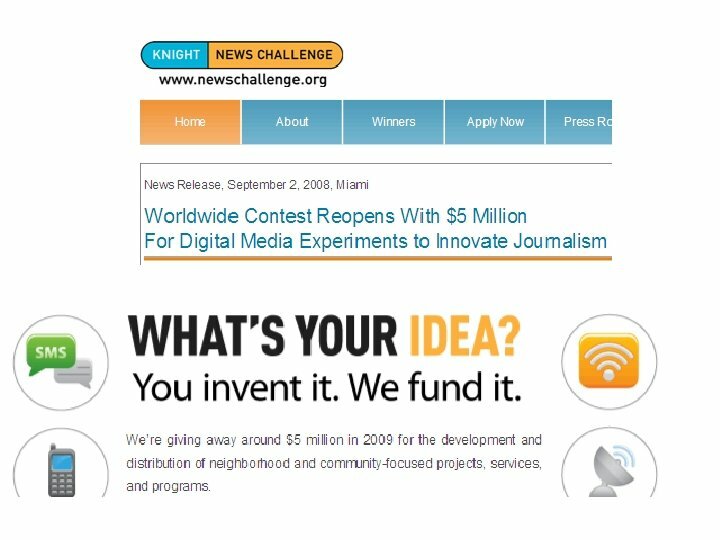 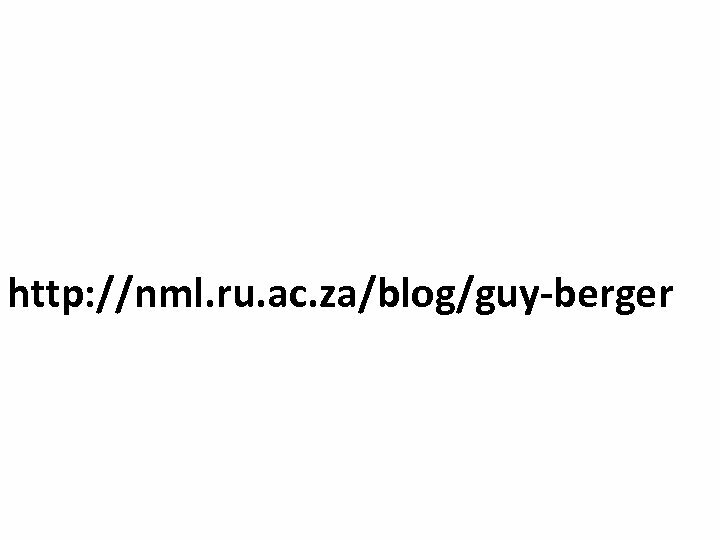 2009: bi-directional • Building software – to deliver niched content … as well as receiving content… (Including youth citizen-journalism … i. e. from youth to youth…) • AND: GPRS options for cheaper comms, and conversation around the journalism. 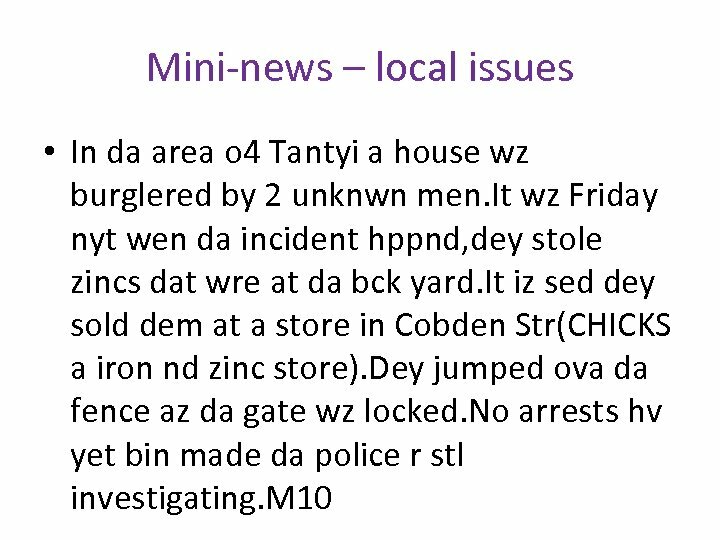 • AND: And audio plus video….